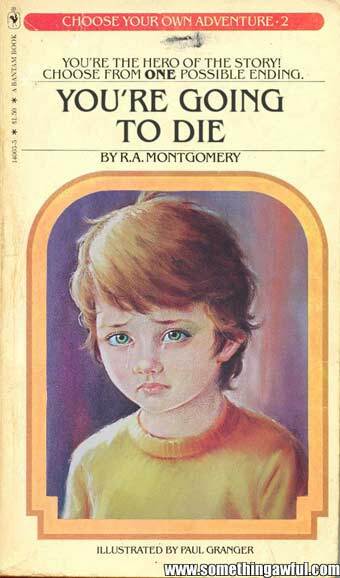 I grew up loving Choose Your Own Adventure books. All of the different series were fun; Find Your Fate, Time Machine, Which Way. They all had interesting stories, some of them completely insane, and were fun to read. Shawn over at Branded in the ’80s has been reviewing a bunch of his off the wall, zany Find Your Fate books and it got me excited to finish this article I started over a year ago. Let’s take a look at how the whole “Choose Your Own Adventure” genre started. And, surprisingly, it started with one man, Edward Packard. 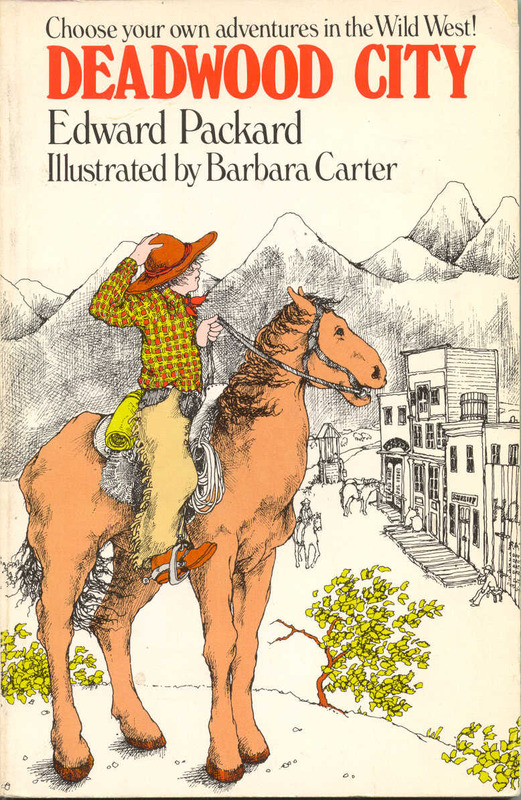 While telling stories to his kids, author Edward Packard came up with the idea of writing a book that the reader chooses how the story progresses. In 1969 he would take this idea and write Sugarcane Island. Packard, at first, could not find a publisher who would print the book. However, in 1976, Vermont Crossroads Press bought it and printed the book which is now considered one of the first gamebooks ever published. For the first printing, Sugarcane Island was released under the banner, The Adventures of You (on left). Its plot has you, the reader, aboard a ship that is wrecked by a huge wave and you must survive on an isolated and very dangerous island. 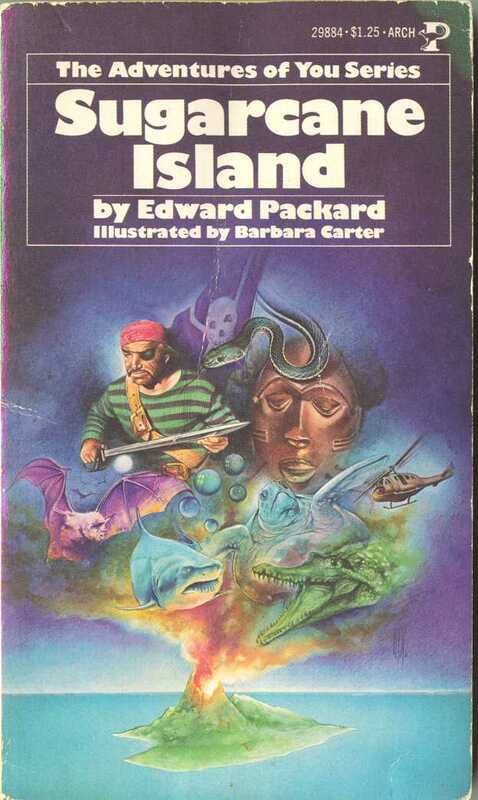 After being published in the Adventures of You series, Sugarcane Island was published under the Which Way banner (middle) in 1982. Then, in 1986, it would finally come under the popular Choose Your Own Adventure banner (right), which was created by Packard. 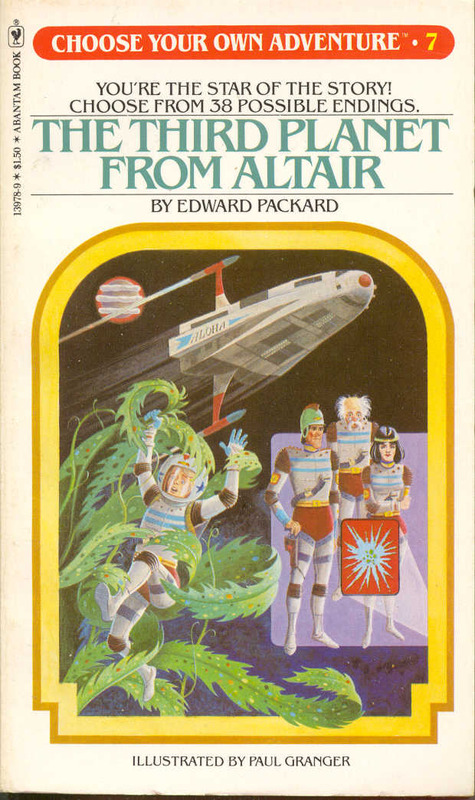 After Sugarcane Island, Packard published two more stand-alone gamebooks called Third Planet From Altair and Deadwood City. The first was a Sci-Fi adventure giving the reader the task of determining the origin of extraterrestrial messages. 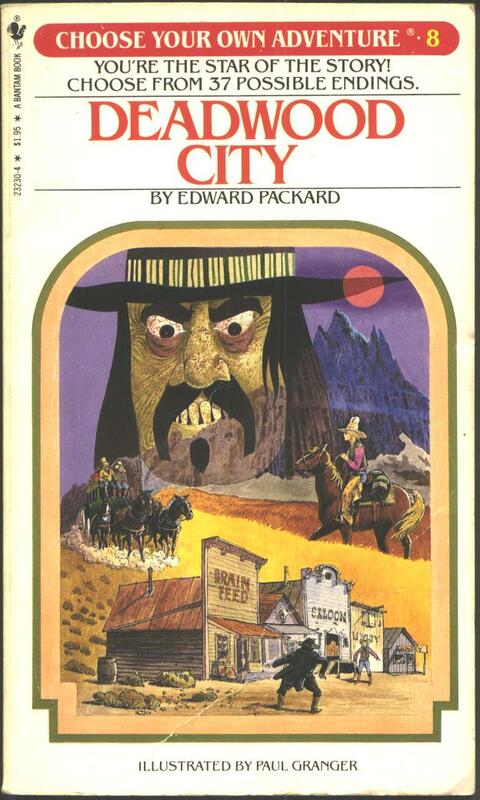 The second was a western casting the reader as a drifter into the town of Deadwood City looking for a job and finding adventure. Neither of these stand alone gamebooks were as popular as Sugarcane Island. 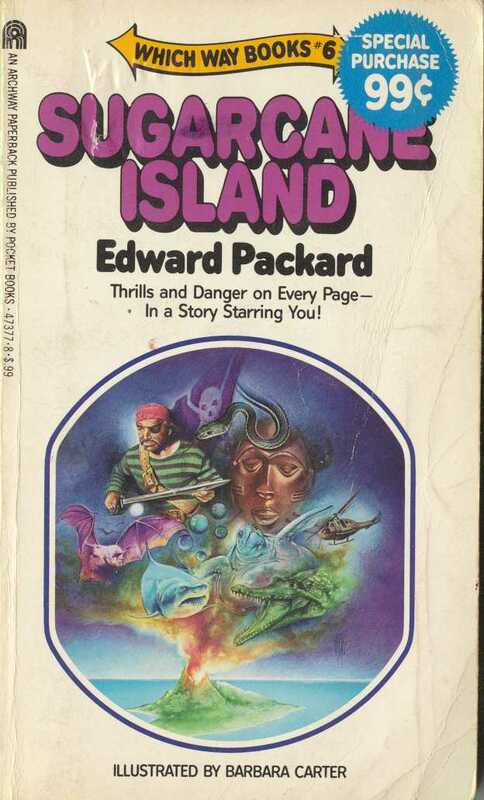 Even though these two books were stand-alone, they both contain the phrase “choose your own adventure” on their covers and are considered the “unofficial” beginning of Packard’s Choose Your Own Adventure series. 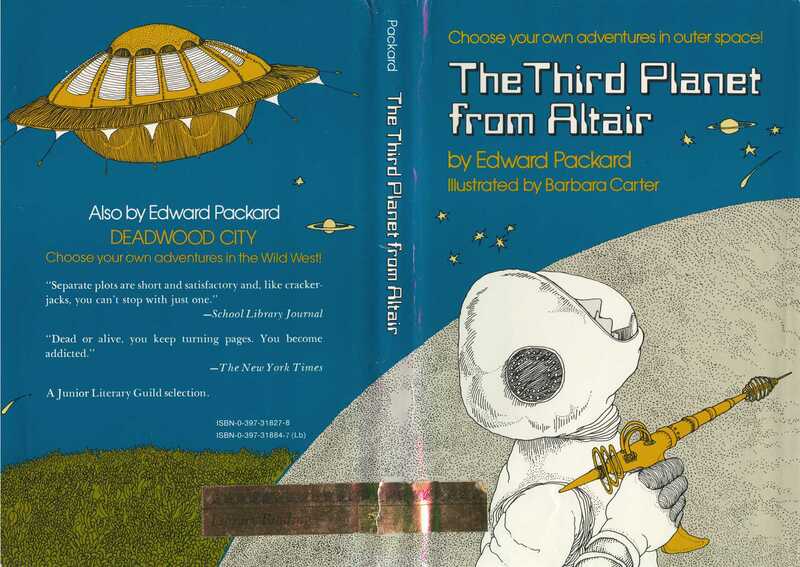 Both Deadwood City and Third Planet from Altair would be reprinted under the Choose Your Own Adventure (CYOA) banner years later. A separate writer, RA Montgomery, wrote a second book in the Adventures of You series called A Journey Under the Sea in 1977. Subsequently, this was to be the last book in the series, however it would also be reprinted under the CYOA banner. 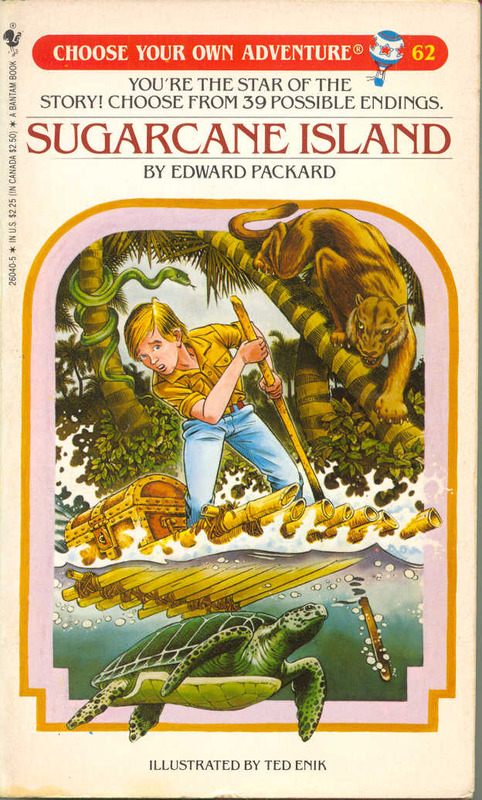 In 1979, Bantam bought the rights to Packard’s previous works and commissioned him to create a new series of “choose your own adventure” books all under one series title. The first book in this new series was The Cave of Time. Needless to say, the Choose Your Own Adventure series became extremely popular and single-handedly started the gamebook boom of the ’80s. 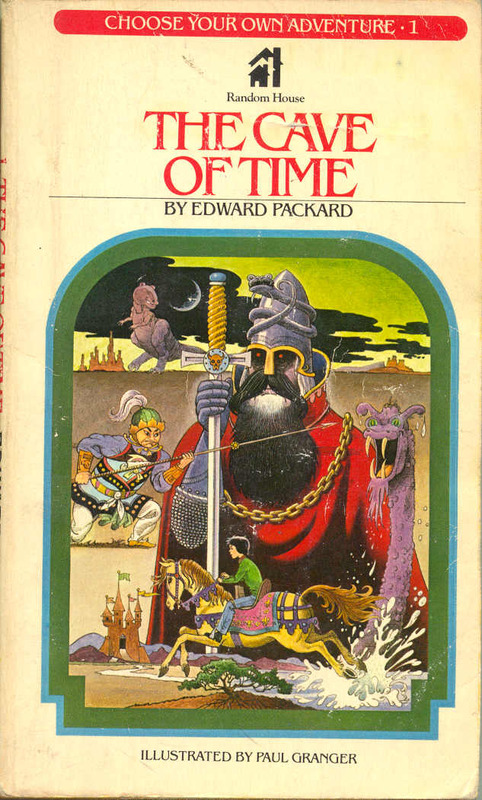 RA Montgomery and series creator Edward Packard would go on to write sixty books apiece in the CYOA series. In addition, thirty other authors would also contribute books throughout the series. Due to the Choose Your Own Adventure series’ popularity, imitators soon followed. Bookstore shelves became packed with new books using the same adventure gimmick as CYOA. Some of the more popular imitator series included Which Way Books, Time Machine and TwistAPlot. TwistAPlot had several books written by RL Stine, who later created the popular Goosebumps series. Other popular choose your plot books included a Dungeons & Dragons Endless Quest series by TSR to supplement the also popular role playing game and a fantasy role playing series called Wizards, Warriors & You. The boom of choose your plot books lasted well into the ’90s. See an enormous list of gamebook series at Demian’s Gamebook page here. In 1998, Edward Packard, along with his daughter, would write the final book, Mayday! (#184), in the first CYOA series. The series would lay dormant for over 7 years. Then, in 2005, Chooseco bought the rights to the series and started reprinting them. RA Montgomery would return to the series in 2007 and wrote Forecast from Stonehenge, the first new CYOA book in almost ten years. In 2006, Chooseco released the first ever Choose Your Own Adventure DVD titled The Abominable Snowman. Chooseco is still releasing Choose Your Own Adventure Books to this day. Check out Demian’s Gamebook page for the definitive information on pretty much every choose your fate book ever created. EVER. I am using his book cover images above. His site is a pretty awesome treasure trove of images and information about everything having to do with gamebooks and role playing. Check it out. Also, like I said before, Shawn is reviewing is collection of oddball pop culture based choose your fate books. He’s done Transformers and Jem as well as Lazer Tag and romance choose your own adventures. Check them out. This entry was posted on March 25, 2010 at 3:49 pm and is filed under books, nostalgia, pop culture with tags books, Choose Your Own Adventure, nostalgia, pop culture, reviews. You can follow any responses to this entry through the RSS 2.0 feed. You can skip to the end and leave a response. Pinging is currently not allowed. These books were awesome. I was a huge fan growing up. There was another short-run spinoff series as well with more of a horror angle. They were geared at slightly older than me, and I remember reading one with an old house and an evil man and I got shrunk down and turned into a small doll……. Absolutely terrified me. I remember I used to read those books with several fingers stuck in several pages so that if I suddenly died or the book ended before I was ready, I could always go back a few steps and change my fate. ha. Thanks for the reminder of a fun time. I remember reading CYOA books when I was in elementary school. One thing I especially recall about the series were that all the covers of the books had really cool artwork. I even made my own CYOA book once for a school assignment and the teacher was so impressed that she let me use the class computer to transcribe my story and print it out (I guess for posterity’s sake). Wha would have thought they were still banging out new books after all these years. That’s really cool! I loved those books. After reading them the right way a few times, I would eventually read them all the way through. I swear I remember coming upon pages that I couldn’t get to the right way. 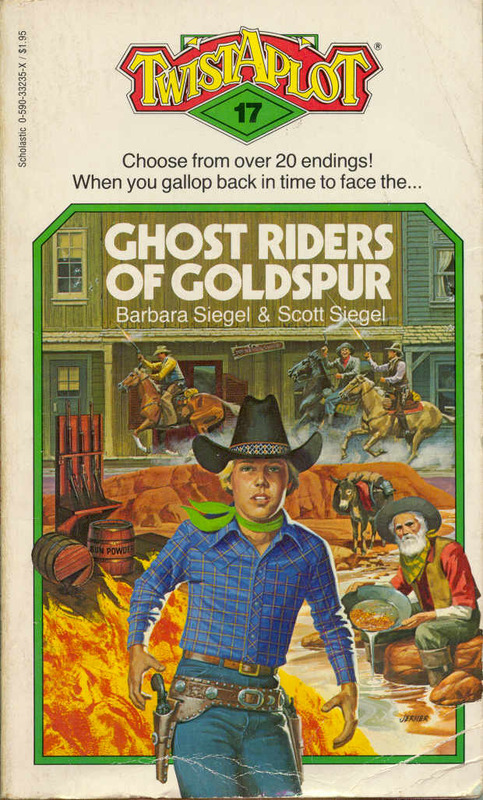 I didnt read any of these growing up, but they do sound like fun. Spot on, TFJ. The art on the cover and within the text was just as responsible for the success of the CYOA franchise as the stories themselves. 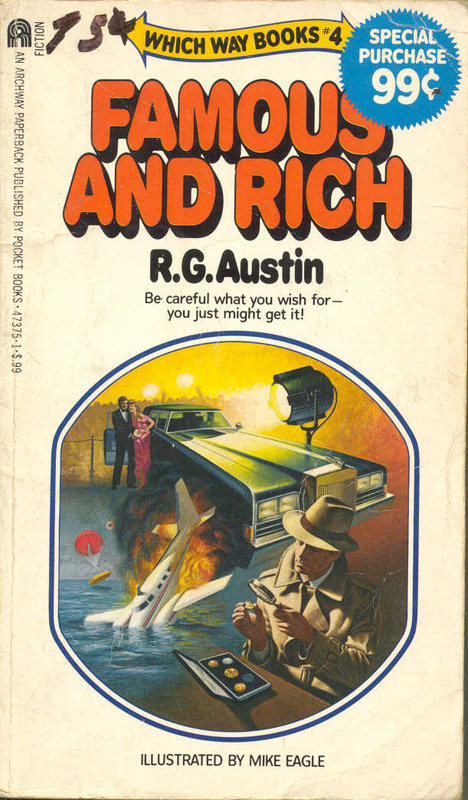 And the first 60 or so titles had the best cover art of all.